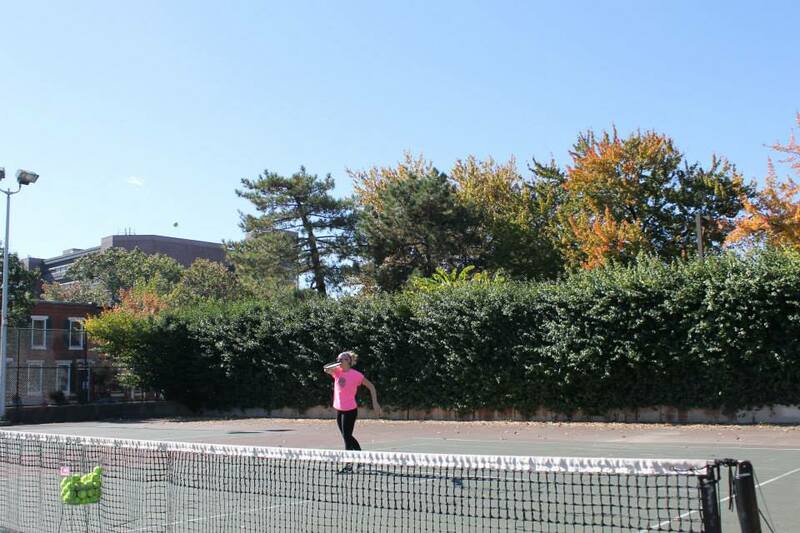 By Avery Shackelford • On October 29, 2014 • In Guest Posts, Why Tennis? Recently I came across a blog called Food, Sweat, and Beers written by a woman named Jordan, a Philadelphia resident with a passion for good food, craft beers and fitness. I asked Jordan if she wanted to take a private tennis lesson with a MyTennisLessons instructor in Philly and write about it on her blog. 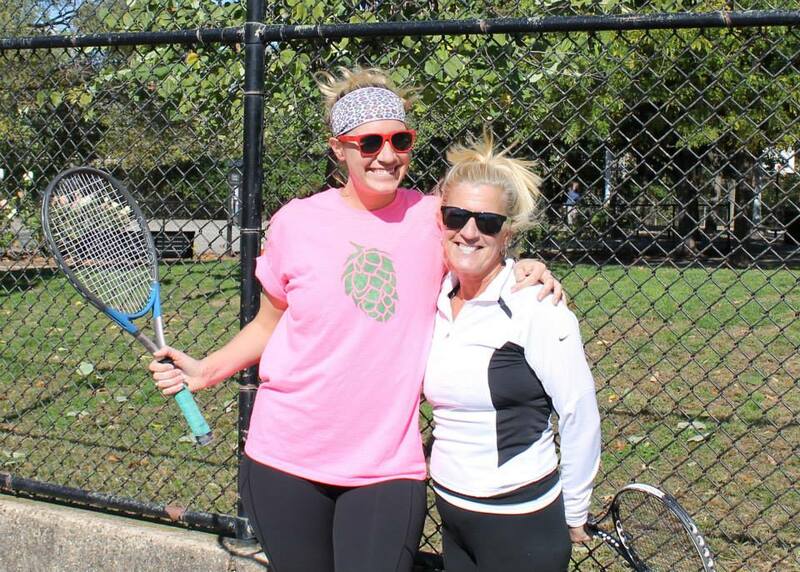 Despite being a beginner, Jordan was able to learn some of the basics from our instructor Nicholas G, and got to spend a little time on the court with her mom, a seasoned player. Read a clip of Jordan’s review below, and to see the full post check out “Tennis (Lessons), Anyone?” on Food, Sweat, and Beers. The process of booking a lesson was incredibly simple, and the user-interface of the site is basically fool-proof. Put in your zip code and you’ll get instructors from your area, as well as suggested courts close to you. Luckily, I live right down the street from one of the public courts in Philly, so before I knew it, it was time for my (very first ever in my whole life) tennis lesson. I invited my mom along for moral support and we hit the court. I’ll say this right there: Lesson 1 showed me pretty quickly that, regardless of your past experience with sports, the tennis court isn’t a place to be proud. If you’re anything like me, you’re going to make mistakes. You’re going to swing and hit the ball out of the “containment area”. You’ll hit it into the net. You’ll hit it into your mom (THAT WAS ONE TIME!) And sometimes, you’re gonna swing and not hit it at all. 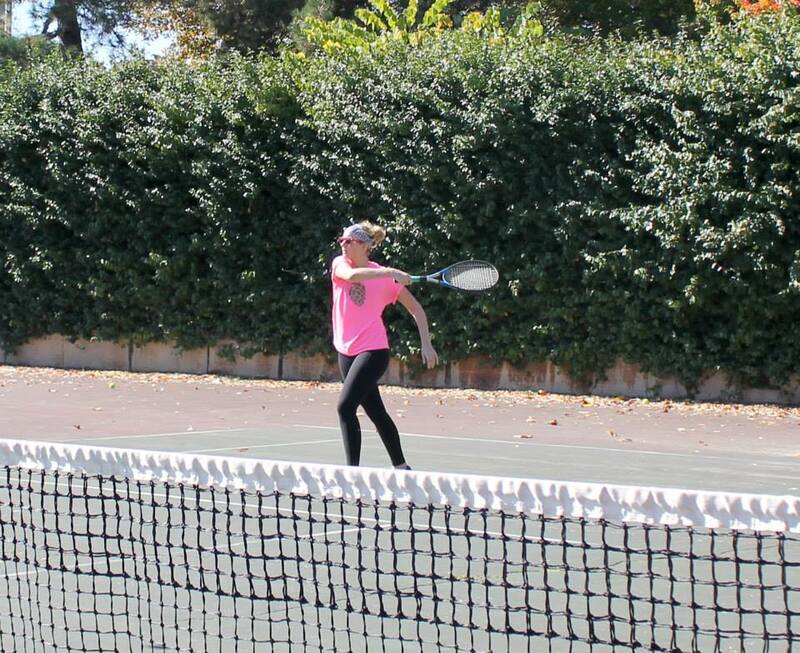 Tennis uses parts of your body that are different from almost any sport I’d ever participated in before. Oddly enough, the sport it reminded me most of was fencing. The short bursts of energy, the closed stance. The fact that you’re using a tool as an extension of your body. It was initially a little disheartening to not be instantly great at something. That said, I had a pretty fantastic instructor. Nick, my instructor, took a special trip out to Philly (as his normal radius is a little closer to where I grew up around Delaware County, PA) to help this first-timer learn the ropes. It was obvious that he was a total professional, coming armed with rackets, a super sweet set of tennis whites, and enough balls to let me go a little buck wild with the occasional POWER SWING. Patient and experienced, Nick spoke in a way that even someone who had never watched a match would understand. That someone was me. The coolest thing about the site, I think, is that you can read reviews from previous lesson-takers. This makes sure that you’re getting the ideal experience, and you can choose not only someone who is convenient to you, but someone who has been vetted by other folks. There seems to be instructors for everything from a beginner to someone who really wants to step up their game. 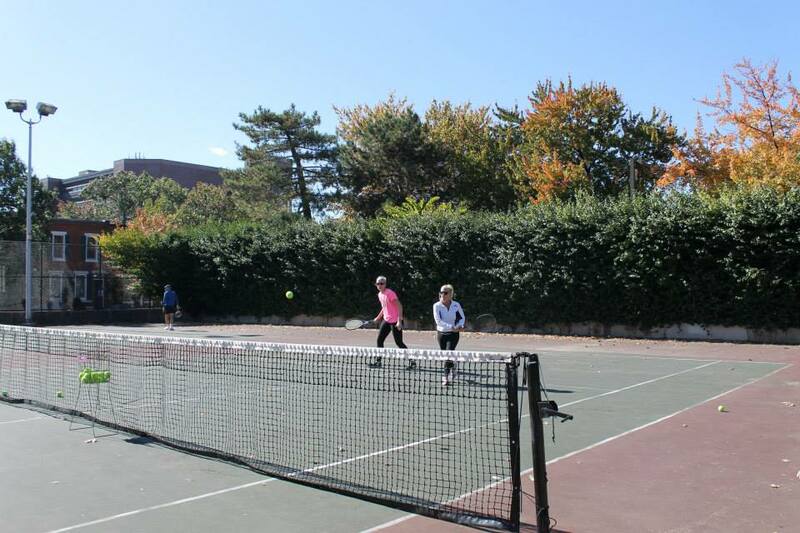 By Avery Shackelford • On October 28, 2014 • In Why Tennis?